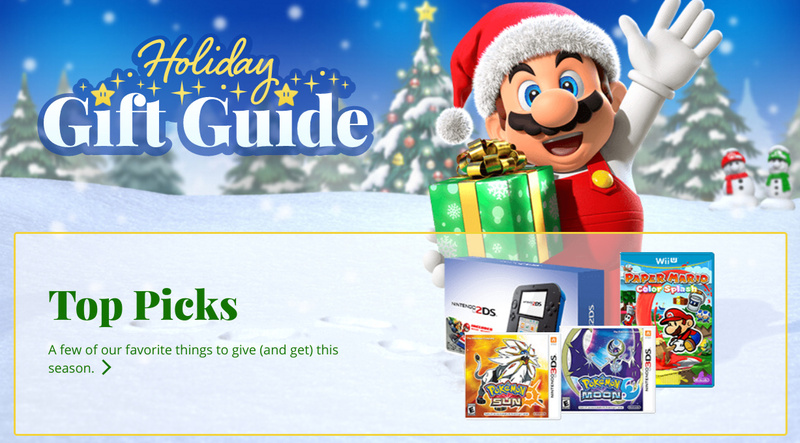 Nintendo's Christmas gift guide is a regular event these days, and this year the site has the usual focus of Wii U, 3DS and amiibo products for buyers to mull over. While software for both of Nintendo's consoles has slowed in the build-up to Switch's launch next year, there are still some neat buying options here if you're stuck for what to get a family member or friend. The Nintendo Selects range gives old classics a lower price point, and incoming Zelda amiibo should make for nice stocking fillers. The site also has sections for some of its biggest brands, as well as a "shop by game style" portal. Oh, and the NES Classic Mini - sure to be a sell out by the time Saint Nic arrives - is also present. Will this new site help you buy some gifts this Christmas? Let us know by posting a comment. Thanks to LegendOfPokemon for the tip! This is a few weeks too early. After Halloween is generally a reasonable time to think about the holiday season and Black Friday. It's the most wonderful time of the... oh no wait, it's still October. This is Nintendo trying to capitalize on the positive momentum of the Switch announcement. They are hoping to get some early orders. Maybe December 2016 will be "Last Christmas" present for Wii U. It clearly Switch got Positive reaction. Wii U can sleep tight, let Switch continue the momentum. Thank you Wii U. @Anti-Matter 2015 was LAST Christmas for Wii U, Nintendo doesn't even have a picture of it next to "Game Systems" where it proudly shows off NES Mini, New 3DS XL and 2DS. Under "Top Picks" there are no new upcoming Nintendo games for Wii U. 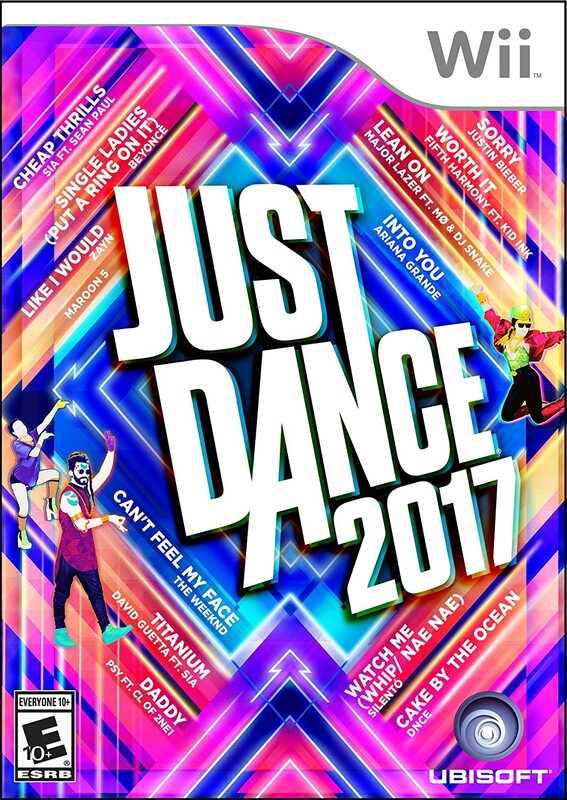 Paper Mario is already out, Skylanders is already out from Activision, and it's hard to count Just Dance 2017 as that's also a Wii game. 2015 with Fatal Frame, Devil's Third, XCX, Animal Crossing: amiibo Festival and Mario Tennis Ultra Smash was Wii U's last Christmas, even Nintendo knows that. NS yesterday and Wii U is still selling for $299 MSRP w/ no new games for the holidays. Nintendo is basically pretending it doesn't exist. Wii U is this years equivalent of coal in your stocking. Any kid looking to play Nintneod best new game this holiday will be hoping to get one of these pieces of hardware for Christmas. I'm kind of surprised Ninteod doesn't have it on it's website. Unlike Nintendo, Apple likes to give it's specs. Hopefully nintendo has a really good bundle for the Wii U or lowers the price tremendously. This way, they can sell out all of their stock of the system, but make some money off of it...most of the games are now down to $20, so it's not that bad of an investment if someone is still looking for some fun nintendo games to play! I think more or less though, that there will be a big 3DS bundle coming, or a price reduction on it for the holiday season. 2DS will probably get another price drop too...the handhelds will be their money makers, which is probably why they won't tell anyone if 3DS or DS games will play on the SWITCH for a while (so it doesn't stop sales of the systems). We all know that they'll be forgetting about the Wii U for now...there's already been a bunch of people in stores cancelling the Zelda Wii U pre-orders and awaiting the Switch's version instead. For some reason, I'm seeing the SWITCH selling out on launch, but I'm hoping it's not going to be like the GAMECUBE and Wii in the years. When gamecube first came out, they shorted memory cards for it...I ended up waiting several months to find a memory card for the system. When Wii came out, it was over a year before you could actually find copies of the system on store shelves...then, it became hard to find more Remotes until Wii Play (bundled with a remote) came out. Hopefully they don't do this again with SWITCH. Not surprising, I see Christmas stuff at Walmart as early as August. @PlaytendoGuy No, Nintendo also has Super Mario Run this December; it could be a big hit. "Fine, fine, we'll just ignore Halloween. Bring on the crazy holidays!" Will someone please tell me when and if or who is doing pre-orders for the NES Classic Mini. I don't want to be left to the fact of trying to track one down the day they come out because I'm busy being an adult, and having to be at work. They're still listing Animal Crossing: amiibo Festival at an MSRP of $59.99, which is... gutsy, I guess. Considering Best Buy is selling that for $20 these days. Not on sale, not with the figures missing. Just straight up, $20. Is this a joke? A Christmas guide? Nintendo don't have Wii U games coming out for Halloween nevermind Christmas. Sure why not advertise NintendoLand? That's pathetic. One Wii U game and that came out at the start of this month. What next, a lump of coal? Wow the 2DS is cheap! The system is basically selling for $60.That's the price of one new AAA console game.The included game is $20.What was the last Nintendo system that sold for that low of a price? @rjejr Why not get a 3DS? It has a huge backlog of great games and Pokemon Sun/Moon come out in November.I would recommend a New 3DS model but if your on a budget a 2DS is really cheap.It's basically $60 not counting the included game. @NandN3ds I don't game on the go much, just on my tv, so that's why I haven't bought a 3DS yet. I was really hoping Switch would play 3DS games on my tv. For $100 I would get an XL for the few games I would play on it. It's Kinda Early But I've Been Begging For A New Nintendo 3ds XL, So There's No Stopping Now.